I’ve been posting chase reports in scattershot fashion. After yesterday’s squall line … not much to see … I posted a report from the May 20 Duncan, Oklahoma, tornado. It was small, and the condensation funnel didn’t extend all the way to the ground, but we had confirmation that the circulation did indeed contact the ground. After we saw it, we saw the radar from the Moore, Oklahoma, tornado and knew we had missed a large and devastating tornado. A lot of the storm chasers (and there are so many these days) were in our target area and missed it, too. Here’s the video, which you can also find on the report page with all the photos. See all the 2013 reports – they’re growing! One of my favorites so far is from May 26 – a gorgeous, sculpted supercell in Nebraska. Here’s a photo from that day. This storm had both incredible structure and dazzling lightning. Video will come later. This storm, which I chased with friends from northeast Colorado into Nebraska, was filled with high-based rotation, shear funnels and lightning and eventually was severe- and tornado-warned. But the “cinnamon bun” swirl above our heads was its most beautiful and entrancing moment. This video includes time-lapses of it. You can find the full report with video and photos here. 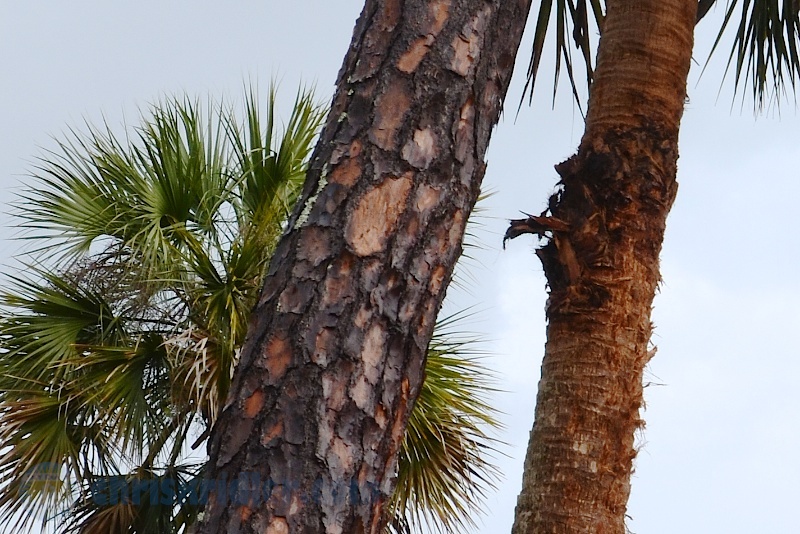 A lightning bolt blasted the trunk of a palm tree, at right. Sometimes social obligations make it hard to chase storms, but a nasty severe storm came to me on Sunday in Rockledge, Florida. I was at a party and went outside to shoot photos of the approaching storm. The lightning became very intense as it neared, so I retreated from the home’s driveway to the alcove at the front door. Note: This is not a safe shelter from lightning, but I felt less exposed there. I shot a little video, then switched to stills, just before a lightning bolt hit a tree just on the other side of the home’s garage. The flash and bang were instantaneous – what storm chasers call a “flang” – and it scared me thoroughly. I was lucky it didn’t hit any closer. Afterward, I got photos of the palm tree that was damaged. There was a hole blasted in its trunk. Read the full report and see the photos here. You can tell it’s been a dull storm-chasing season for Tornado Alley, at least so far. Storm chasers on social media are posting a lot of “from the vault” and computer-model-related posts and not much in the way of recent storms. In the last year – May 2012 to April 2013 – there have been just seven reported tornado-related deaths in the United States, Harold Brooks reports on NOAA’s U.S. 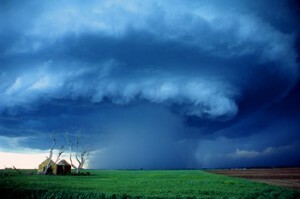 Severe Weather Blog. That’s the lowest 12-month number since 1899. What’s good for the public in terms of gentle weather is pretty dull for weather fanatics – who would prefer to see tornadoes in unpopulated areas – but Italy is picking up the slack. Several tornadoes struck in the Emilia-Romagna region in northern Italy on May 3, a date that shall go down in infamy in the States as the anniversary of the deadly 1999 outbreak, including the F5 that devastated Moore, Oklahoma. 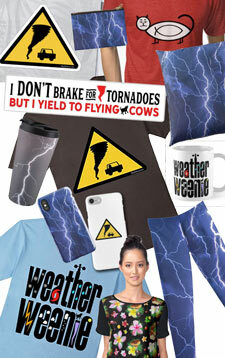 I’ll be heading out to Tornado Alley soon, I hope. There will likely be interesting storms there this week, but I’m still waiting for a more active period … or I will take my chance on what comes, perhaps as soon as next week. The chill has lasted longer than usual this winter here in Florida, but at least we’re not experiencing snowstorm after snowstorm. What we did get was a blast of wind in a squall line Sunday. I drove out to meet it west of Cocoa. It was moving so fast (warned with a motion of 55 mph), I couldn’t reach the area of rotation. I didn’t even have time to set up and get nice photos of the green gust front. But I did get video in my car as it blasted me. I’ve also posted a video of mostly time-lapses of some of my favorite storms of 2012. It’s a little more moody. It’s not long now until the May chase! Want to see more stormy images? If you’re on Florida’s Space Coast, get a look at my storm photography on exhibit at Titusville’s Downtown Gallery, 335 S. Washington Ave. (321-268-0122), through April 16. There, you can also pick up copies of my Storm Seekers novels, Funnel Vision and Tornado Pinball – or get them online. I’m also speaking about storm chasing and signing books at Cocoa Beach Library on April 6 at 2 p.m. The program is free. Late edit: Just added an event – a book signing the evening of April 6 at Coco’s during Cocoa Village’s gallery walk. Please see the calendar. ‘Hourglass’ is a short documentary by Chris Kridler. First, come out to the Melbourne Independent Filmmakers’ Festival tonight and Saturday. 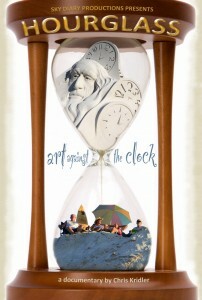 There’s a full slate of fascinating films and other programming planned, from the comedy show tonight to the Florida Filmmakers Matinee Saturday starting at 9 a.m. That’s when you can see my documentary, “Hourglass,” about sand sculptors battling the weather and the clock to prepare for the Art of Sand festival. Get tickets and see the schedule for the event, at The Oaks Premiere Theaters in Melbourne. Also, at noon on Monday, you can hear me chatting with Seeta Durjan Begui on “Seeta and Friends” on WMEL-AM radio. You can listen online. Monday evening at 7 p.m., come to a free storm-chasing presentation at the Eau Gallie Library (sponsored by Friends of the Eau Gallie Library). I’ll be talking about the realities of storm chasing, showing video and photos and my short documentary “Chasing Reality,” and signing copies of my novel “Funnel Vision.” That’s the storm-chasing adventure to which I’m writing a sequel right now! Learn more about upcoming events in my calendar. I have a “Highway to Hail” sticker on my car. It’s one of those storm chaser puns, with nothing to do with the AC/DC album but everything to do with those icy, rock-hard missiles from the sky that are always a hazard when chasing tornadoes. I’ve had two car-remodeling encounters with hail. One was May 30, 2001, in the Texas Panhandle, the event known among my friends as “Mile Marker 6.” That’s the sign on I-40 that featured prominently in the video I shot that day. 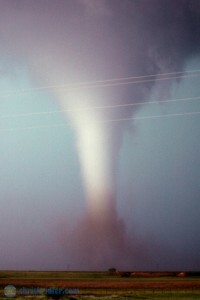 Even worse was May 12, 2005, near South Plains, Texas, a day that was at least partially redeemed by the really nice tornado that preceded the assault. I’ve remastered my video and produced a new edit that I’ve uploaded to YouTube (below). All of my hail encounters helped inform the hail barrage that happens during one of the action sequences in my novel Funnel Vision. I once took shelter in a country airport, for instance, though it was in Colorado, not Kansas. And if you turn up the sound in this video, you’ll understand that visceral, chilling feeling of having your car destroyed while you’re still inside it. Enjoy. Note: For best quality, roll your cursor over the lower right of the video window, click on the gear symbol, and choose 720p HD. May 29 of this year was an example of a great storm chase that didn’t include catching a tornado. There was a brief tornado with this storm, but from my position, I didn’t see it. Nonetheless, at one point I was incredibly close to a rotating wall cloud – do I get points for proximity? No, I guess not. But the real crown jewel of this chase was a few minutes of incredible structure on this supercell, which I followed with friends, then on my own, from Canton, Oklahoma, toward the Oklahoma City metro. This newly posted video summarizes the day. 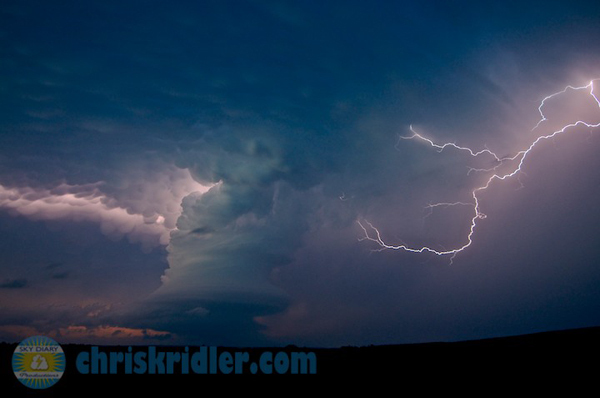 Check out the May 29 pictures, some of the best from this year’s trip, or see all the 2012 chase reports.